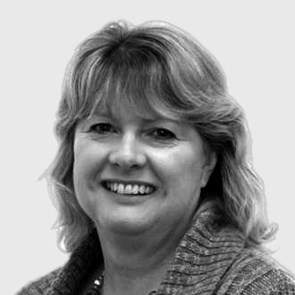 Janet has worked in the travel industry for more than 20 years. She regularly takes cruises on behalf of The Luxury Cruise Company, as well as with her family on her own annual holidays. Tailoring bespoke cruise holidays to suit her clients’ needs is a genuine passion for Janet. Drawing on her many years’ experience, she is never short of personal recommendations for tours and hotels. “I really enjoy putting together holiday itineraries for our clients – they appreciate my knowledge and time and it gives me a great sense of satisfaction.” Alaska and Australia are among her favourite cruise destinations. When it comes to excursions, she loves the opportunity to get off the beaten track in less touristy areas, and has particularly fond memories of cycling around the villages and paddy fields of Bali, Indonesia. This was the first cruise I had ever been on and the cruise consultant Janet Welsh was very knowledgeable. Our contact, Janet Welsh, could not have been more helpful - throughout the booking process, she went the "extra mile"
Janet Welsh was marvellous with all the mistakes made due to misspelling of surnames and various other issues from so many booking amendments she had the patience of a saint well done.